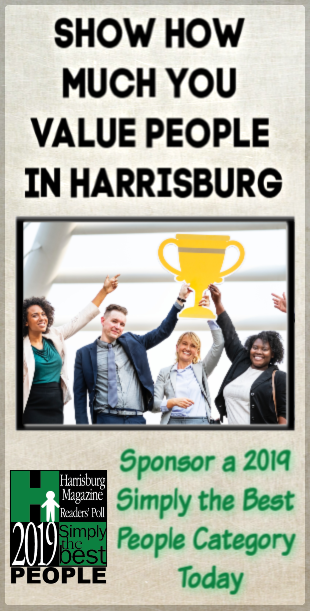 In neighboring Lancaster County, Liberation Tiny Homes has been touting the tiny agenda for 3 years. The idea was the brainchild of contractor James Stoltzfus and his wife Rosemary. 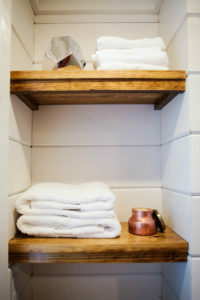 The on-trend and minimalistic living option has made a wave, attracting Millennials, Babyboomers looking to downsize and DIYers who love a project. For homeowners who enjoy being hands-on and want to customize their home every step of the way, Liberation offers homes in three stages. Stage 1: a shell, offering complete interior and exterior customization. Stage 2: a completed exterior with a shell inside, so home-owners can design and decorate according to their own tastes. Lastly, there’s Stage 3: Interior and exterior are done, just add the finishing touches! Weighing the option of tiny living comes down to lifestyle choice and commitment. Tiny homes are mobile, making them great for military families, doctors and those who can work remotely. They are also a great option for single moms, empty-nesters and those just starting out. 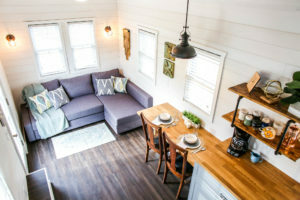 Tiny homes are a fraction of the cost of a single-family home, making them an affordable option while still getting the quality expected from a traditional home. There are some unexpected cons to tiny home ownership. Some townships and municipalities are more tiny-home friendly than others. There can be laws governing lot size, living space and other legalities. This is especially true of the East Coast, who hasn’t entirely transitioned to minimalistic living the way the West Coast has. Additionally, there’s the issue of water, sewer pumps and drainage. Tiny home or not, these infrastructures need to be dealt with and maintained. “It’s a part-time job to live that way. Not a lot of people think about that,” says Marcus Stoltzfus, Head of Marketing and Sales at Liberation Tiny Homes. The Market is still catching up to the demand of tiny home ownership. Most banks do not offer a loan to finance the purchase of a tiny home. “It’s not something that is categorized. It’s not a home, it’s not a trailer, it’s not an RV, it’s new,” says Stoltzfus. 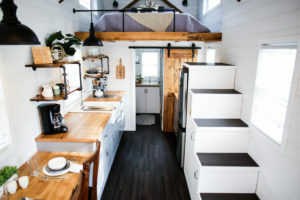 Depending on the project and level of customization, tiny homes built by Liberation can range from $10,000 (for the basic shell) to $70,000 – still far less than the average home. The homes can also be built as eco-friendly as the individual wants. Options like a compostable toilet and solar panels can save money on materials and energy usage. 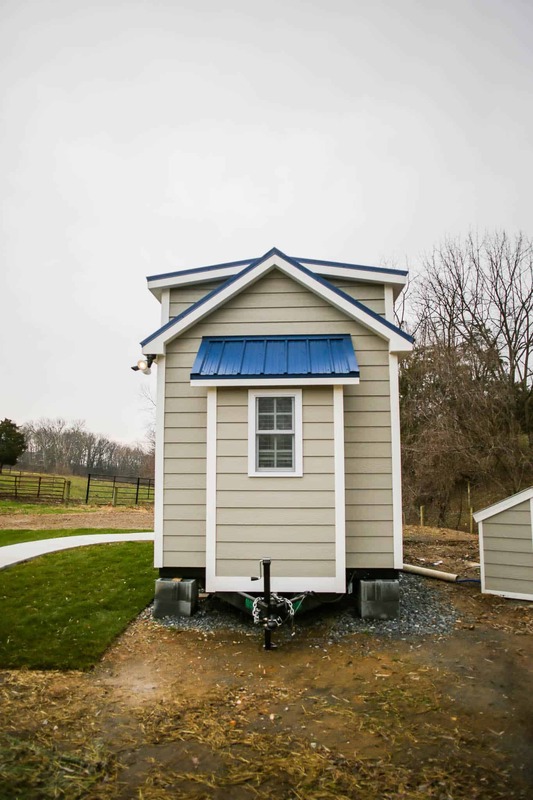 Tiny house rentals are also coming home to Elizabethtown’s Tiny Estates, a tiny rental community for visitors to Lancaster and the surrounding area. It also might be the perfect place to try out a tiny home for yourself. tiny-estates.com. Offering a transient existence, a minimalistic lifestyle and an affordable housing option, Tiny homes are a trend worthy of their popularity. For more information on Liberation Tiny Homes visit, liberationtinyhomes.com. Previous post: Still Time To Help Isaac’s Feed 10,000 People In Need!